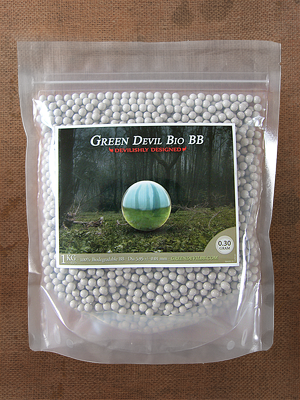 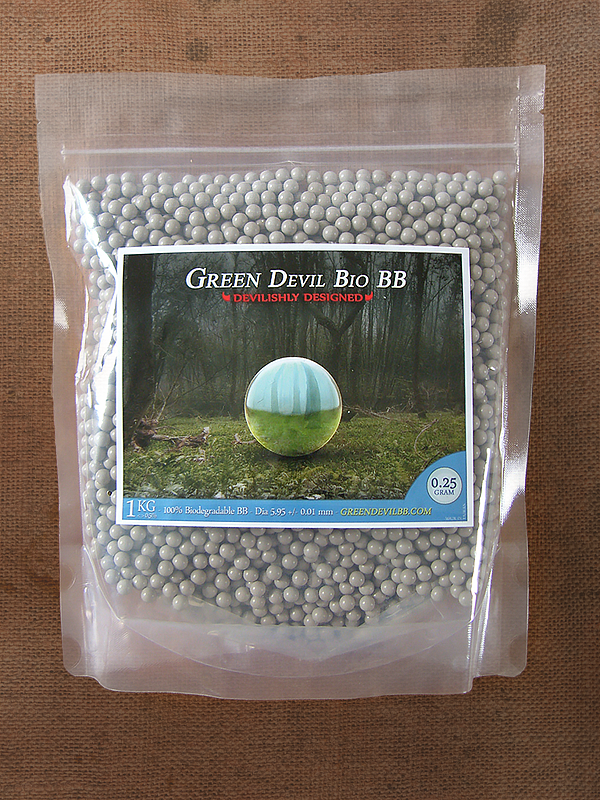 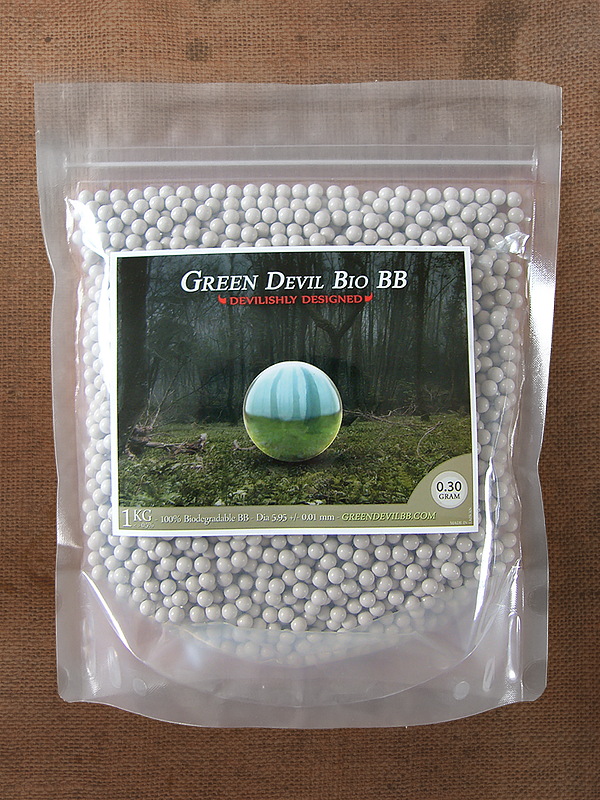 Green Devil Bio BB's are one of the world leaders in precision made biodegradable Airsoft BB's, manufacturing and supplying high quality fully degradable 6mm 0.20, 0.25, 0.28 and 0.30 gram in bags of 1 kilogram, and with tracers available for both weights of 0.20, 0.25g. 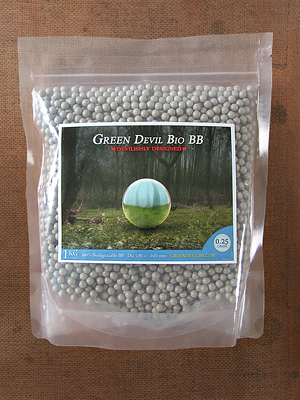 Our resin colours are chosen to blend naturally with the background environment allowing for the micro bacterial degradation process to occur unnoticed - however doesn't suffer from premature degrading, moisture swelling and featuring a long shelf life. 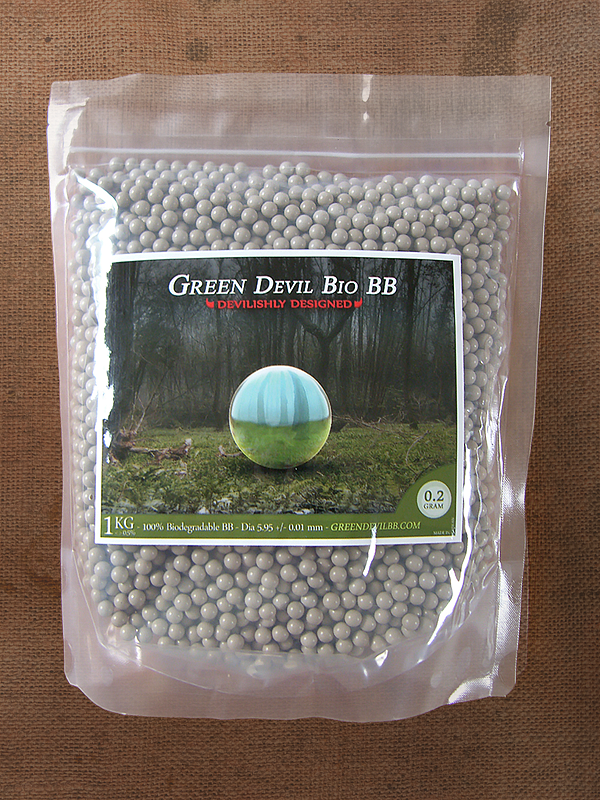 For more information on our products, wholesale, pricing, and supply query's please contact us using the details found below or phone +44 (0)1288 331 748. Green Devil ships worldwide to both airsoft shops and gaming sites - we can provide quotes for various weights via air, courier or ship. 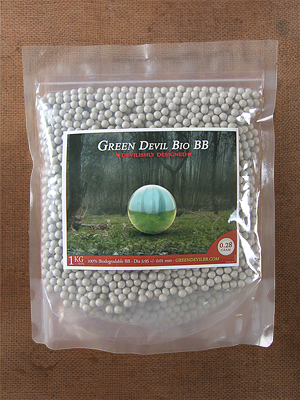 For player quantities please check with your local supplier first, if one isn't avaliable contact us and we can arrange smaller quantity's for clubs or teams. 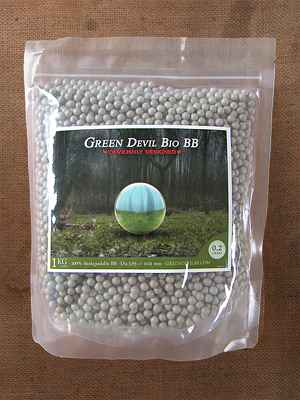 Any questions, our preferred contact is email, we will respond within 48 hours.